NBC's Today show, Vox Media and Campbell Soup have announced a partnership to produce original branded videos that will live on Today.com and Eater, Vox's food and dining site. "As we embarked on this partnership, we knew we would be able to deliver a beautiful final digital product that embodies the standards we've set upon ourselves," said Josh Feldman, evp of integrated marketing and network partnerships for NBCUniversal. The series, "Home-cooked, chef-made," showcases Campbell's products used both by chefs and home cooks. The goal is to show Eater's and Today's audiences the diverse range of uses for those products. "Campbell is constantly evolving the way we engage with consumers, and working with Today Digital and Vox Media is a great opportunity for us to deliver top-tier content via a multichannel approach," said Amy Benford, Campbell's senior manager for global media. "The partnership allows us to better reach our consumers by serving up the most relevant content to on-the-go busy cooks looking for food inspiration and recipe ideas." 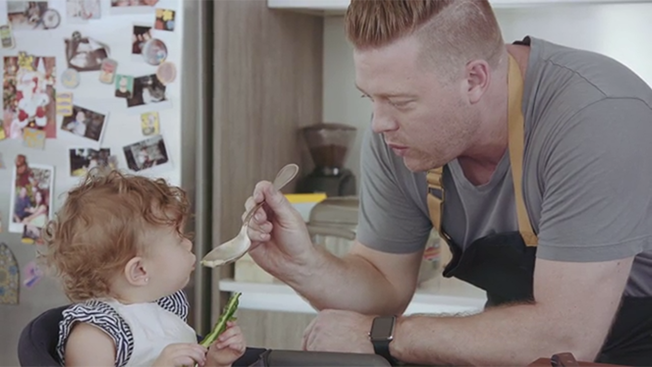 The series of four original branded videos will "highlight accessible recipes for busy families" and show Campbell's "saving the day in the creation of one-dish meals," according to the companies. "The Today consumer is passionate about finding the best of everything out there—they're incredibly savvy," said Feldman. "It's two authorities like Campbell's and Eater that can deliver the type of content these audiences are seeking out." The partnership follows NBCU's $200 million investment in Vox in 2015, and it isn't the first time the media companies have teamed up on digital advertising products. "Branded content is an important part of NBCUniversal's direction because it allows our clients to get their brands closer to the content created by our talent in front of and behind the camera," said Feldman.